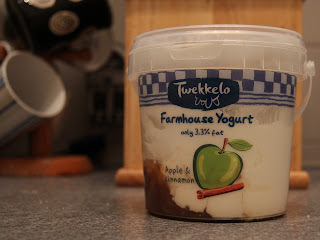 Day 84 - Twekkelo Apple and Cinnamon Farmhouse Yogurt may just be the best yoghurt in the world and it comes in small buckets complete with handles and lids. Arty, painterly types may want to take note, gorgeous yoghurt, tubs with handles and lids. Oh yes. 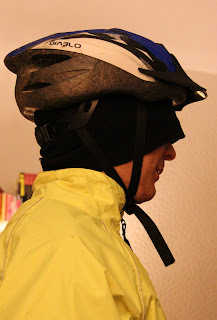 R experimenting with some wintery head gear to keep George on the road over the coming months. Yes his bike is called George, it's a Dawes you see. 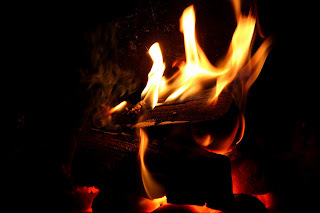 Day 87 - Another fire shot. There will be a lot of this over the next few months I'd imagine. Still editing wedding pictures, more interesting photos to come. I'll try and think of something other than the fireplace.